Earlier this month, Motown Gospel recording artist Lexi underwent a successful surgery to remove a large, benign polyp, which her doctors discovered during a routine screening. She disclosed news of the surgery on social media, the evening before entering the hospital, as an urgent reminder to her followers of the importance of early screenings and regular check-ups. Lexi’s commitment to health and fitness has been an ongoing part of her social media presence for several years. Immediately following the procedure, Lexi learned how dire the situation was. According to the American Journal of Pathology, African Americans have the highest incidence and mortality rates of colorectal cancer (CRC) of any ethnic group in the United States. 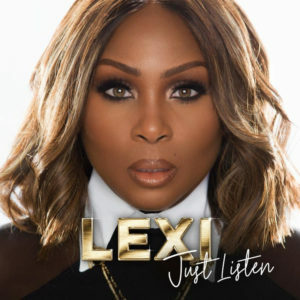 Lexi, continues to maintain a presence on radio with the launch of her new song, and video “Wherever I Go.” With the follow-up to her first single, “In The Room,” Lexi offers a remake of The Winans’ classic that speaks directly to her strong faith and complete trust in God. This entry was posted in Gospel, Reviews, Testimonials and tagged JUST LISTEN, Lexi, surgery, Wherever I Go by Kris Patrick. Bookmark the permalink. proxy on Should I Date Outside of My Religion?